Social&Care informs you if your beloved ones are in the right place at the right time. You will know at any time where they are, the tasks they have to do and the medication they have to take. Without needing them to do anything, you will know if their behavior is as usual or not. We will call you for FREE! Activity patterns contain your relative’s daily activity. Social&Care compares user’s real activity with the predefined one, and informs you about their location and tasks. 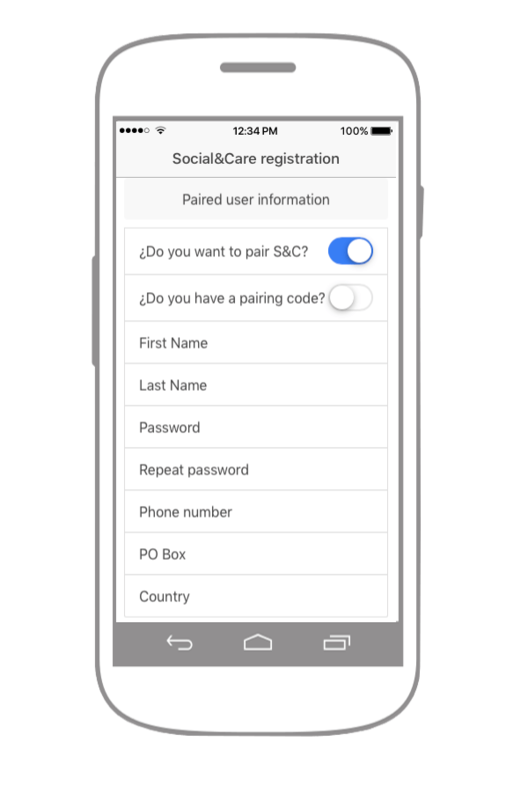 Download Social&Care on both your smartphone as on the device of the person you want to care for. You´ll have to create an user´s account for you and another one for the person you want to take care of. 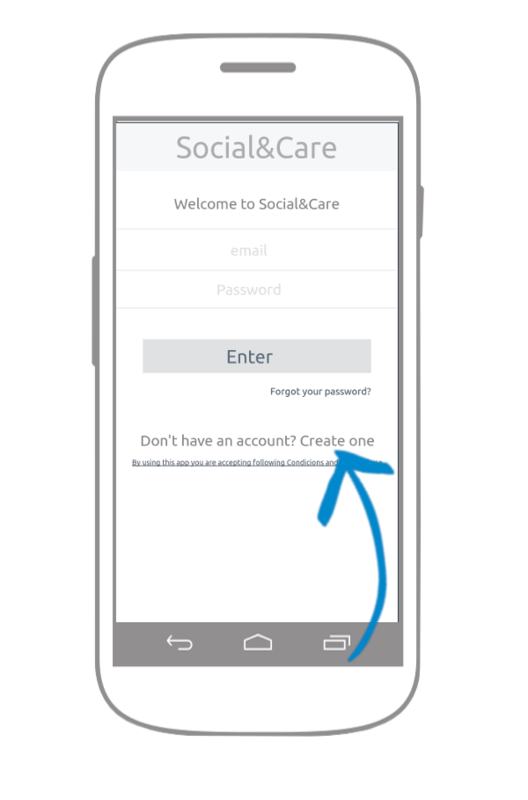 In the Social&Care login screen, please click on CREATE ONE button, as shown in the image on the right. 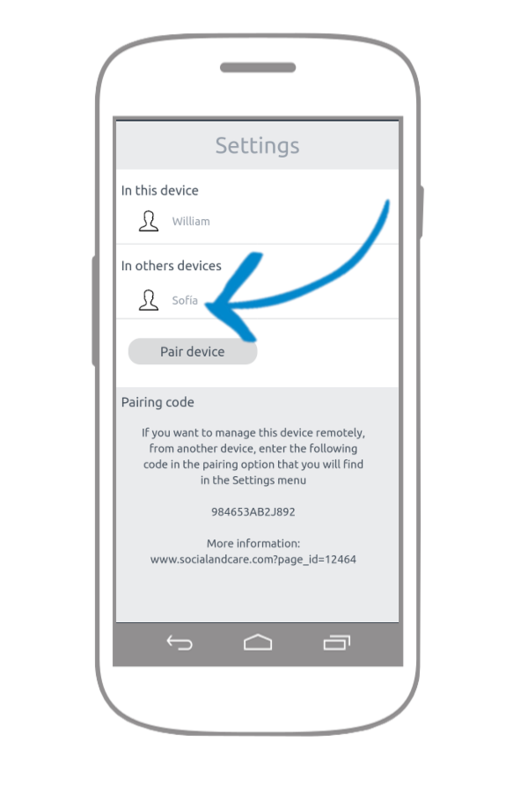 In the activation email you will find the user code (pairing code) for the person you want to take care of. Now, from your own device, you could manage and maintain Social&Care parameters without your relative having to do anything. Here you have the complete user´s guide for pairing devices. 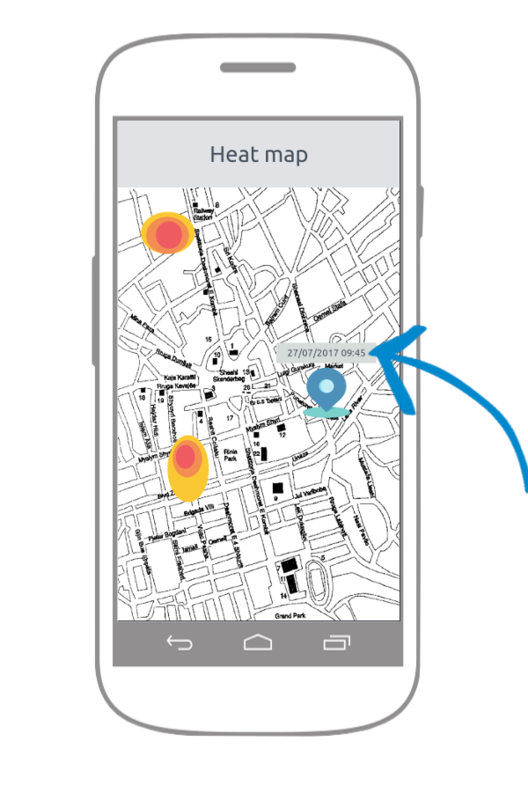 With Social&Care you will be able to define locations and create safety areas around them. Social&Care will inform you if your relative is outside of those safety areas and also warns you when they reach one of the predefined locations. Press on the name of the person you want to care of as shown in the image on the right. In the NOTIFICATIONS button you can define the intensity with how Social&Care will consult your relative’s position. The fields you can see in the image on the right are designed to adapt Social&Care to each user´s needs. Please, activate this option. Social&Care will notify you every time users performs a task and will inform you if they were in the right place at the right time. 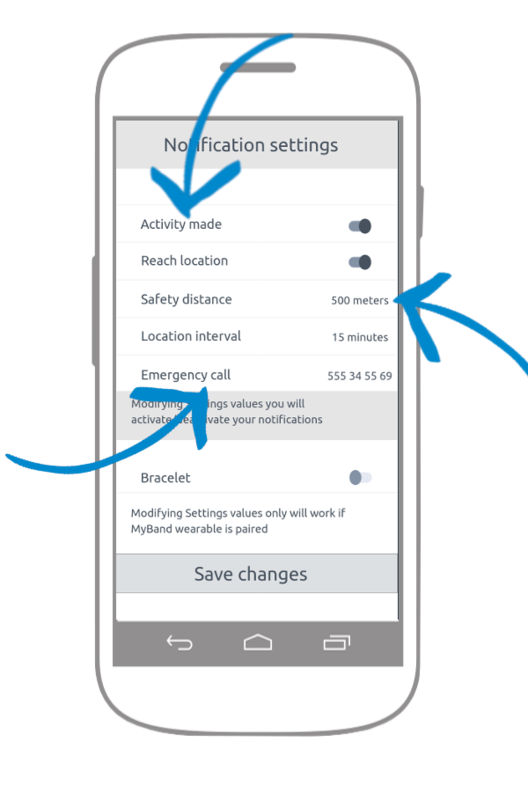 Please, activate this option: Social&Care will notify you if your relative leaves safety zones. Safety zones are circumferences around locations. Safety Distance value is the radius of these circumferences. 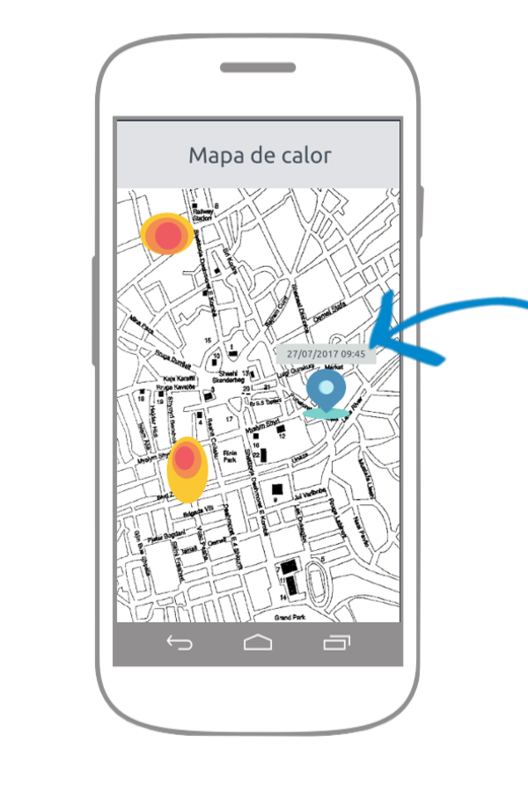 Indicates how long it is from one user´s location check to another. Social&Care calls this number when the user presses the panic button (SOS). And don’t forget to save changes! Press on Direction field. 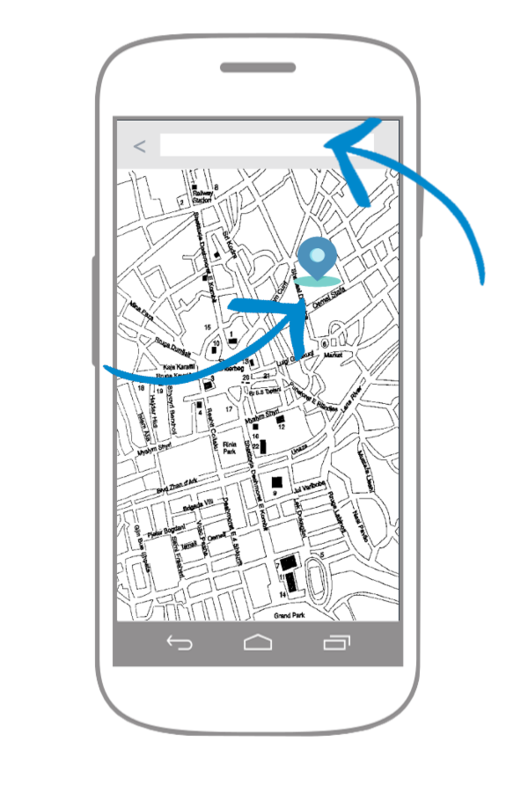 A new window will be openned with the own device’s Maps App, type there the address. Social&Care will look for it. Repeat these steps for each user location. For this reason, we recommend naming the locations in the same way as the user does. 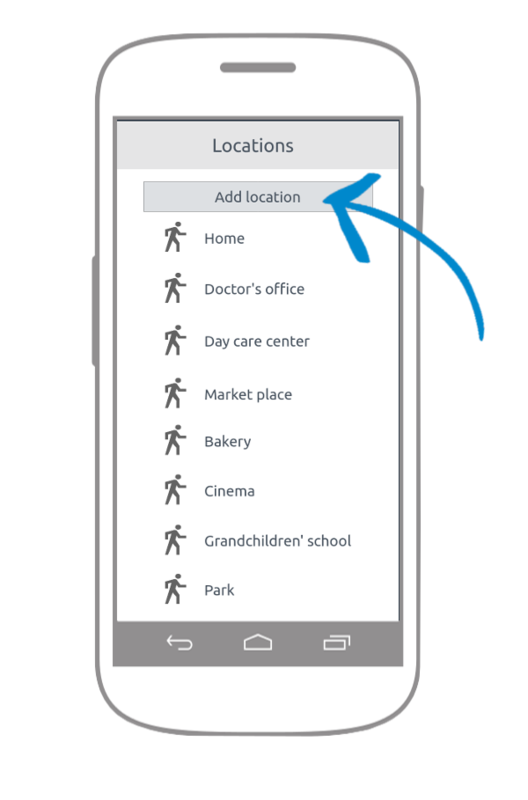 – If you cannot find the address you need, enter a nearby address you know and press where you want to set the location for two seconds. Here you have the complete user´s guide for setting up user´s locations. Social&Care allows you to define users´ tasks schedule with the activities they have to do. Social&Care will remind users (and you too) when they have a task to do. If the task has a location associated (must be made in that fixed location), Social&Care will inform you if the user is in the right place at the right time. Press on the name of the person you want to take care of. SELECT the TASKS button on the User Settings screen (as you can see in the image below). If users have to perform the task in a specific location, indicate it. 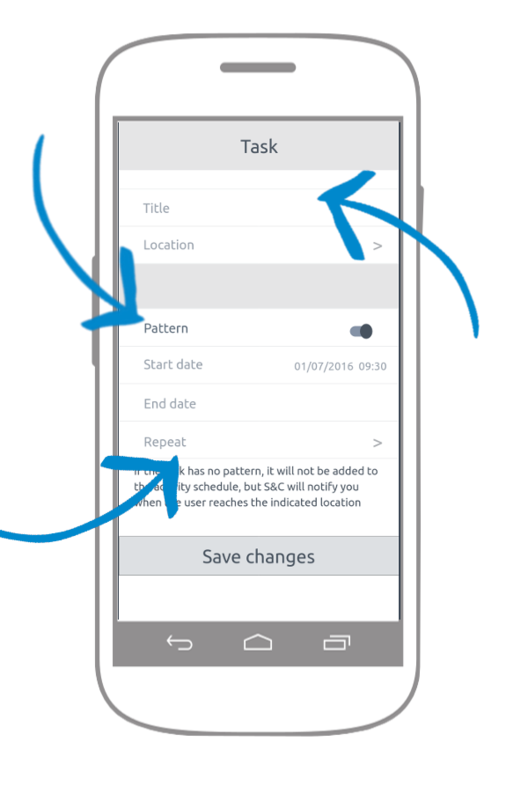 Pattern sets up the repetition of the task so Social&Care automatically includes it in the user’s schedule. First day when the task will be included in the user’s schedule. Task will be done at the time indicated in this field. If the task has to be made continuously between two dates and you know the end date, indicate that value in the End Date field. Otherwise, it is not necessary to complete this value. Days of the week the user has to do the task. With this information, Social&Care will generate the repetitions in the user’s schedule. Check in the user’s schedule that the events have been generated according to your needs. Repeat these steps for each user task. Social&Care will remind users pending tasks. Task may not have a pattern, if we do not know when the user will do it. Actions such as visiting a relative or walking in the park are tasks that users can do whenever they want. For this type of tasks, variable tasks, it is not necessary to indicate a pattern. It would be enough by specifying the description of the task and the location where has to be performed. These variable tasks (tasks without pattern) do not appear in the user’s schedule. 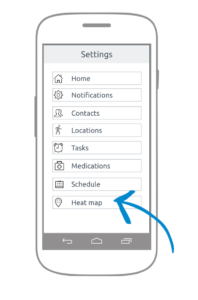 Social&Care will detect when users are in a location linked with a task, associating them this task automatically and informing us immediately. Here you have the complete user´s guide for creating tasks reminders. Social&Care will remind users (and you too) of the different doses and intakes throughout the day. 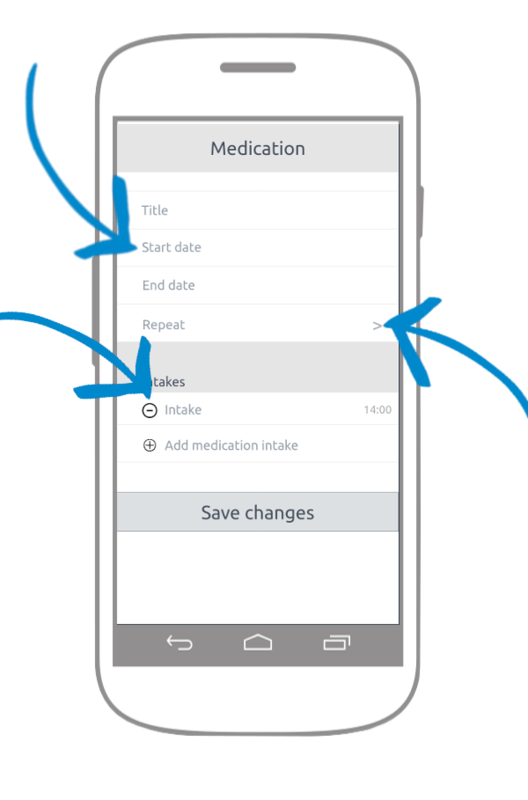 SELECT the MEDICATIONS button on the User Settings screen (as you can see in the image below). The list of Medications that you have created for the user will be displayed, it´s a very similar screen as the one on the right. Social&Care will remind users to take their medication. Give a description that the user can easily recognize. It may include the name and amount of the medication or only a reminder for breakfast medication (food or dinner). According to your needs. Indicate the date when the treatment begins in the Start Date field. Tomorrow for example. If the treatment has a deadline, enter that value in the End Date field. If you do not know this information, you don’t need to enter anything. Repetition means the days of the week the user has to intake the medication. Pressing the field will display the days of the week. Select those in which the user has to take this medication. Intakes are the doses that the user must take throughout the day. It may be one pill at a day or may be three times during the day. Create one dose for each time the user has to take the medication throughout the day. You can configure it according to your needs. Create all the medications your relative has to take. Here you have the complete user´s guide for creating medication reminders. Social&Care shows you at all times user’s location. 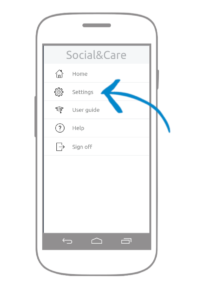 On your smartphone, select Settings from the Social&Care main menu. Press on the name of the person you want to care for. SELECT the HEAT MAP button on the User Settings screen (as you can see in the image below). A map will be displayed with the location of the user. On the map you can see the location of the user. In the bubble, above the position, you have the date and time of the last known position of your relative. Depending on the version of your OS, Social&Care shows marks with your relative’s visits in the last days. The more your relative has visited a location, the more intense the color of the marks are. Here you have the complete user´s guide for checking user locations.